In preparation for your study, a technician will attach six small wires to your scalp with a liquid adhesive, a small sticky pad beside each eye and one behind each ear. A few other pads will also be placed on your head, chest, and legs. These pads are attached to wires that will help monitor you during the study. A band will be placed around your chest to measure your chest motion as you breathe during sleep. During the night you will be asked to lie on your back and then on either side so that we can observe your sleep in all positions. If you think you will have trouble falling asleep the doctor may prescribe a mild sleeping pill for you. Unless instructed otherwise by the doctor, bring all of your usual medications and take them as you normally would. Do not have any caffeine or alcohol after 1pm the day of your study. Do not nap. You should shower, wash your hair and eat dinner before you arrive at the sleep center. Bring the things you will need for the next morning just as if you were going to spend the night in a hotel: your toothbrush, pajamas, clothing for the following day, a book or magazine. Your study will be conducted in a “time free” environment without watches, clocks, pagers or cell phones. Wake-up time is usually between 6am-7am unless sufficient data has not been collected. Based on the night study, some patients may be asked to stay into the morning in order to gather additional data. Please make tentative arrangements to stay the following day, if needed. 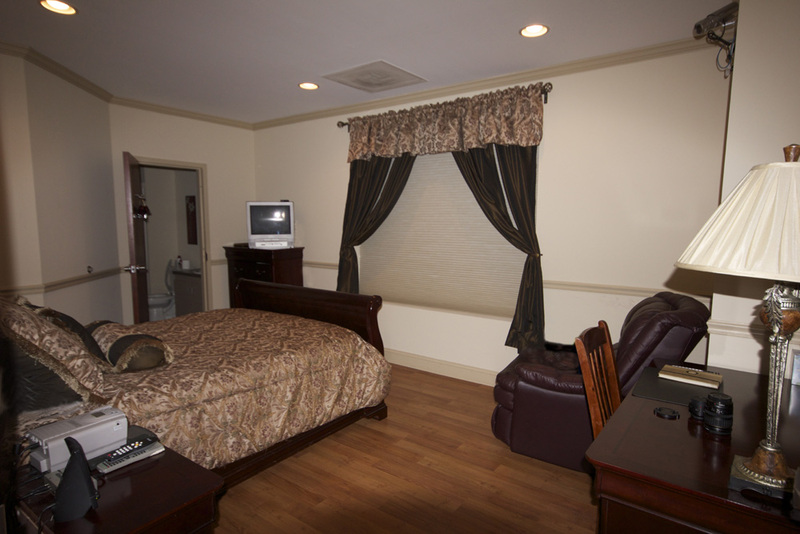 Our sleep center is technologically state of the art while designed with your comfort in mind. Each room is private, furnished with a full-sized bed, comfortable chair and private bath. The mattress and bedding were carefully selected to provide you with the utmost in comfort. Soap, shampoo, towels and washcloths are provided for your convenience. Additional blankets are available if needed. Each room has a television and internet access.